How do I use the web-site? 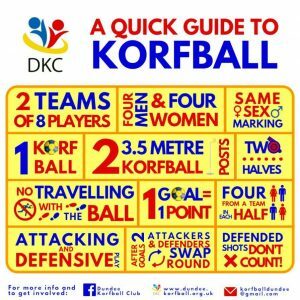 Dundee Korfball Club will be running a FREE four week course for beginners at the Ardler Complex on Thursdays, August 23, 30, September 6 and 13, 2018. Junior classes will run from 5:30 to 6:30pm, and adults from 6:30 to 8:00pm. The course is designed to introduce complete newcomers to the sport. All four sessions are free to newcomers. Attendance can be at one or all of the sessions. No previous knowledge is needed. 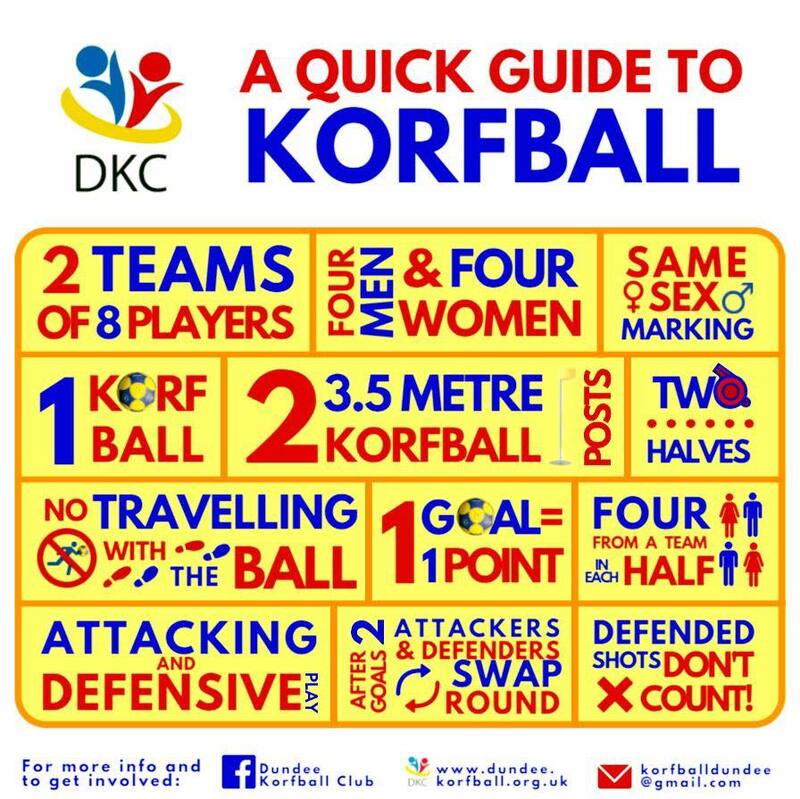 Korfball is a fun sport for men and women and Dundee offer a great balance for both those who wish to be competitive and those who are looking for something social to keep fit. Come along and give it a try! This entry was posted in development, social, training, Youth by admin. Bookmark the permalink. With generous support from Castle KC, Crewe & Nantwich KC, Glasgow KC, and the Scottish Korfball Association.